Architecture is an insightful industry driven by impactful technological innovations. 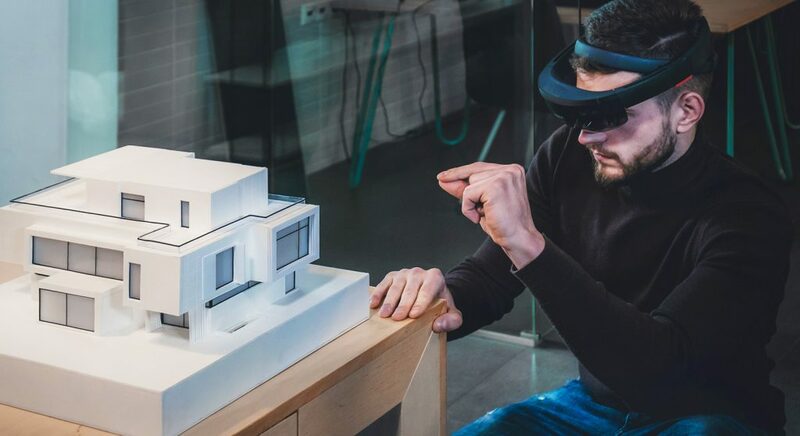 Virtual reality, 3D & 4D printing, augmented reality, and artificial intelligence are changing the way architecture is perceived as an industry. Imagine a virtual world that you can walk through, observe, and experience first hand; an immersive virtual reality where spaces are created by combining wireless tracking technology, computer graphics, HD projectors, programming languages, and VR headsets, all collaborating to create lifelike experiences. Virtual reality has already brought significant developments in the engineering and construction industries. By joining forces with augmented reality and AI-based technologies, the best is yet to come. For 2019, some of the hottest trends in architecture are centered on further advances in VR, prototyping, and parametric design. When new technologies hit the market significant changes are expected. Architecture, design and engineering are no exception. 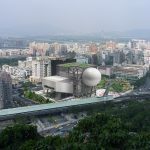 The increase in popularity of cloud computing transformed BIM (building information modeling) into reality, offering architects, engineers and construction professionals the tools to work more efficiently when planning, designing, and managing infrastructure buildings. What does VR do? In simple terms, it takes prototypes and transforms them into computerized reality. Although it’s an illusion, it feels real because devices with embedded virtual reality capabilities engage people’s senses and perceptions. The benefits of VR in architecture go beyond the conventional. FUZOR, for example, is a type of software that helps transform conceptual designs into reality. It is the ideal tool for architects because it speeds the process of creating designs in VR. The software enables users to develop and perfect their prototypes, as well as iterate better client presentations. One of the greatest benefits of VR is that it helps improve communication between designers and clients. It can also be used to spot irregularities and flaws when modelling in 3D. Experiences that happen in virtual reality are individual, and often involve a single user framing a preprogrammed digital realm. 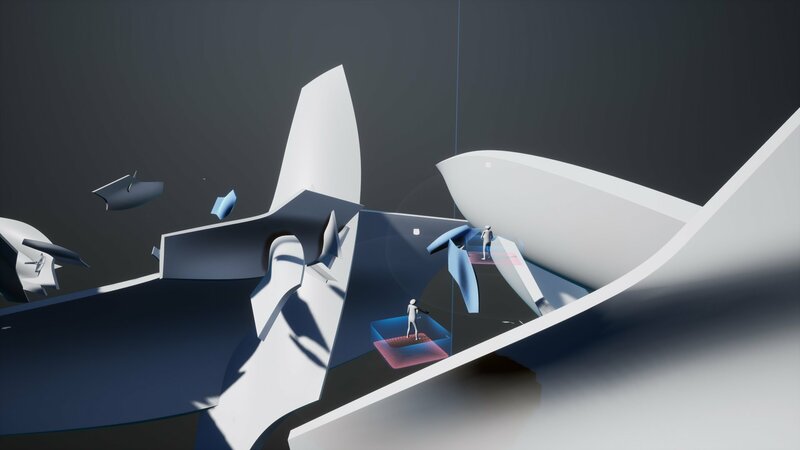 However, Zaha Hadid Virtual Reality Group (ZHVR) launched an experimental project called Project Correl, a “multi-presence VR” experience where architects and constructors joined forces to collaborate on the construction of an architectural edifice, changing the way VR is perceived. In spite of today’s advanced technologies, physical prototypes still matter when doing presentations. They’re an excellent way of showing your work to clients because they pave the way to executing on your digital ideas. However, little by little physical presentations are being replaced by viewing in VR where clients can engage in virtual experience that feel more real. In architecture, virtual software can help architects and constructors develop perspectives that can be better applied in real life. In the construction and building design industry, the DAQRI Smart Helmet is a technological device that allows users to picture a more exact virtual model of their work. The headset also packs augmented reality (AR) features to enable viewing beyond simple prototyping. Constructors can use it to determine spatial connections between building elements. 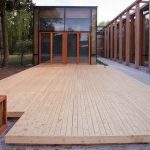 Its greatest benefits is that it reduces clashes and errors which may jeopardise the actual building process when the construction starts. Much like Big Data, the trend will most likely play a fundamental role in building better, stronger buildings. While revolutionary materials are transforming the way constructors build, both VR and AI are transforming the way they design. Building a high-rise used to be about static blueprints because you didn’t have the option of moving parts. Right now, with the advent of AI and BIM, constructors can help blueprints to learn and adapt to certain requirements such as weather, equipment, ground conditions, and design ideas for a better optimisation of construction models. As far as robots are concerned, as far-fetched as it may seem that they’ll build buildings on their own, some companies are already testing the idea with termite-like swarm builders and flying robots. In 2016, RoboticsX launched the X-1 Smart Industrial Robot; a device that is capable of collaborating with its fellow colleagues, share capabilities with other devices, and even adapt tasks to real-life conditions. 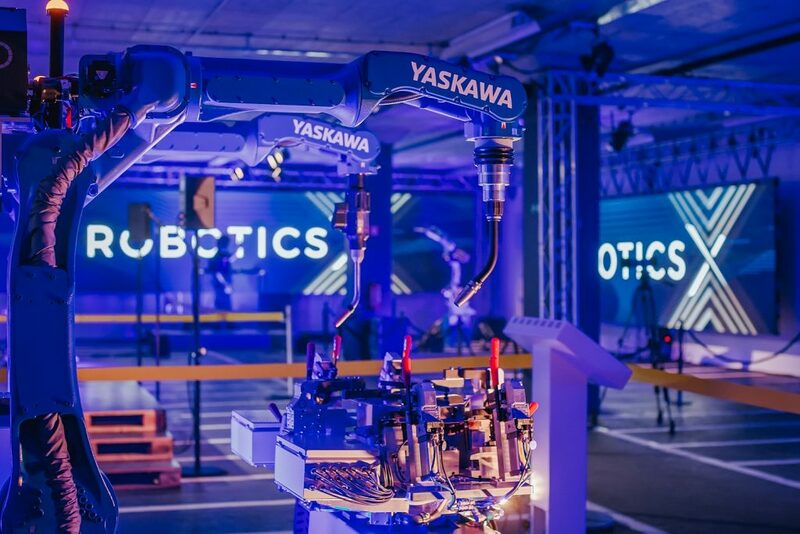 Switzerland-based company, NCCR Digital Fabrication, has also developed a pre-programmed fabricator robot that can build steel-reinforced framework autonomously. 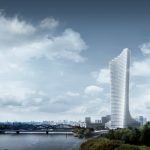 With the rise in popularity of both 3D and 4D printing, it is estimated that the two technologies will soon revolutionize tomorrow’s structures by redefining how buildings look and feel. 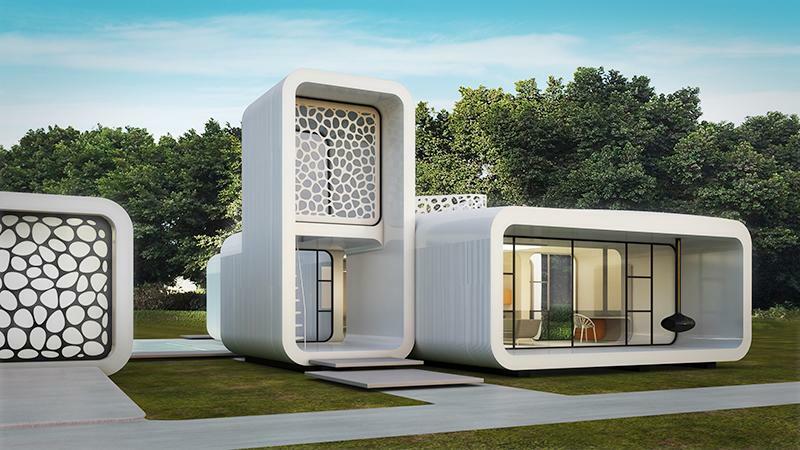 Chinese-based design engineering company WinSun used 3D printing technologies to build 10 houses from recycled materials at $4,800 a piece using a special type of ink made of sand, fibre, cement and a proprietary additive followed by printed layers for the walls, which were assembled onsite. 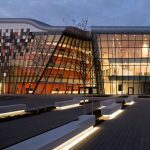 Building design software, a subcategory of CAD programs, have been redefining the building design industry for quite some time. Paired with 3D modeling, the technology helps both designers and architects put together lifelike pictures when presenting prototypes to municipalities and potential clients. 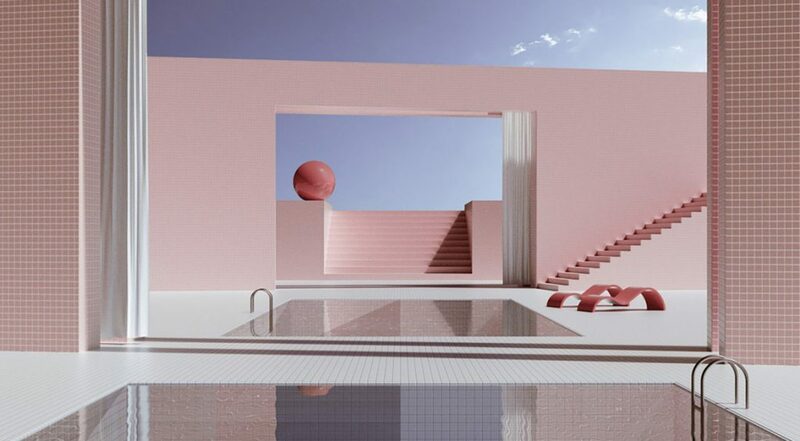 Digital artist Alexis Christodoulou conquered Instagram with its 4D images and incredibly realistic architectural renders. Most of his work is centered on terrazzo and tile surfaces of both indoors and outdoors spaces, with curved furniture, water pools and circular openings. With over 60,000 followers on Instagram, Alexis mentioned that his works are extensions of his daydreams. I make the spaces because I think I like the idea of going there and escaping for a while. They’re just extensions of my day dreams. I like my images to have a certain fake quality about them to let the viewer know that they don’t have to be too serious with their imagination when looking at the them. Parametric design is yet another area gaining momentum in architecture. Defined as a process that leverages algorithmic thinking, the purpose is to encode a relationship between intent and response in design. Although it’s a paradigm, parametric design involves element manipulation of complex structures and geometries. In conventional 3D modeling, it allows architects to perform impossible tasks when modelling in 3D. The end result is not exactly a building, but a shape controlled by parameters. 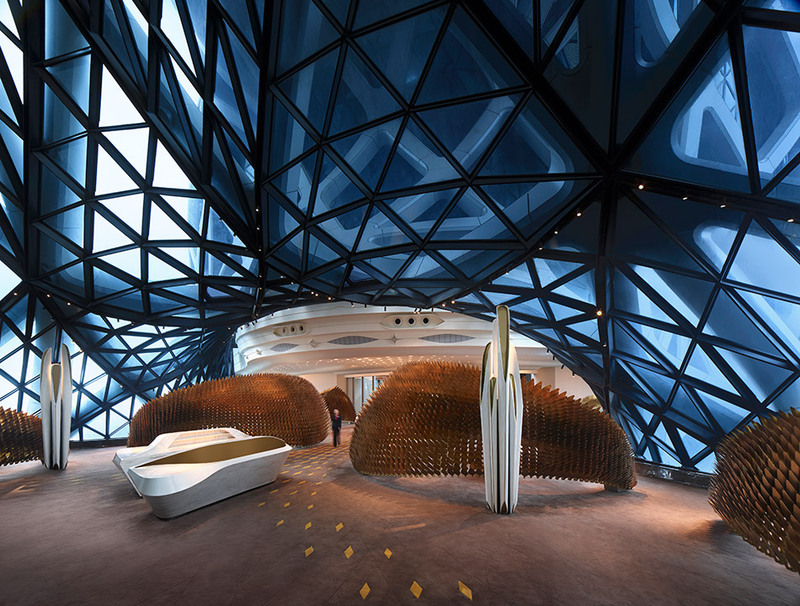 A perfect example of parametric design is the Morpheus Hotel project designed by Zaha Hadid Architects. Inspired by China’s traditions of jade carving, fluidity lies at its core. The design combines formal cohesion with innovative engineering to make up an architectural monolithic block carved in voids. One of the purposes of parametric design in this case was to develop uninterrupted spaces by columns and walls, thus enhance on the idea of fluidity and adaptability. Visualization in VR, augmented reality, 3D and 4D printing are novel technologies still in their early stages in architecture. However, there’s no doubt they’ll go mainstream as more and more architects seek to provide experiences rather than simple prototypes. Together with parametric design, in 2019 the focus will be on taking basic designs and prototypes to a whole new level. 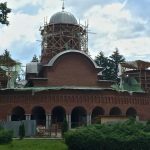 This 2019, SHARE International Architecture and Engineering Forum will be organized in 10 cities across Central Eastern Europe. 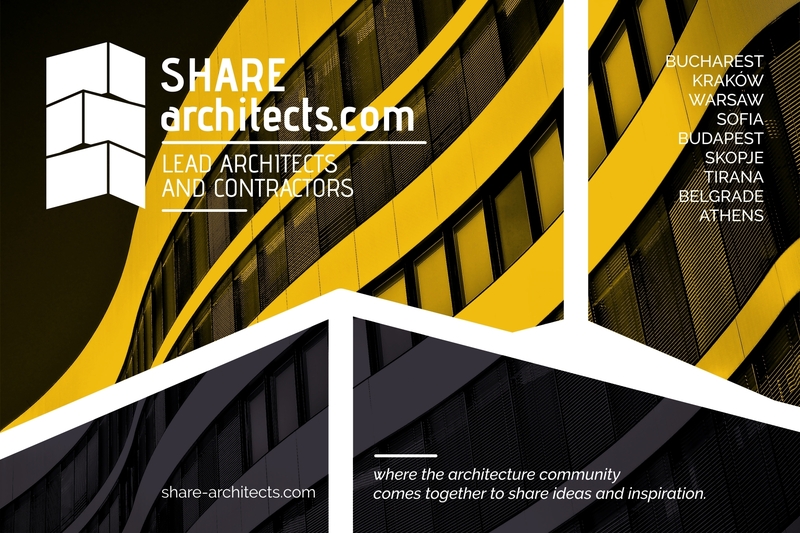 The event will bring together principal and senior architects from leading practices to discuss and gain inspiration from each other, as well as debate over the most interesting topics in the industry. The sequence of conferences are accompanied by interactive discussions on the topic of local architectural issues and exhibition of innovative architectural solutions, product and services.